From a simple website to a responsive website that adapts to any device, we can work with you to bring your ideas to life. Improve social signals, brand awareness, word-of-mouth, increase customer trust & loyalty, Improve reach and influence. Newspaper websites, Amazon stores, sports club or corporate website… we can bring your ideas to the internet. Creating quality content can establish you as a leader and drive the desired audience to your website, increasing leads / sales. We provide a balance of bandwidth, storage, speed & security optimization to enable your website to load amazingly quick. ssaMedia focuses on the quality of your website design and not the quantity of our client list. 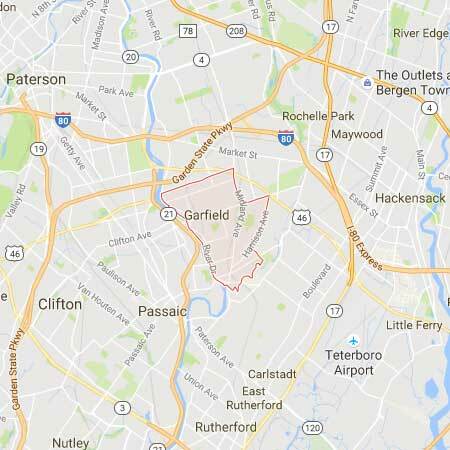 We specialize in developing websites for individuals and businesses in Garfield, New Jersey. By providing a personal service in website design, SEO and website hosting you get the best Internet presence for your online business. We serve customers in Garfield, NJ that seek high-quality custom web designs and creative solutions. We have been developing websites for over 24 years, and we know a thing or two about trends and the long term planning you will need to stay relevant through the years. We can work with you to help you to create a website that your visitors and customers will love. Great looking design, intuitive navigation, optimized photography, engaging content with a critical focus on security and speed. Individual custom websites can be very expensive. We design our sites to provide you with a top-notch website without the hefty price tag. We treat our customers like family and look out for your best interest at all times. We provide great designs with intuitive navigation, on-point images and engaging content. We work with you to help you maintain and develop your website over the years. We perform regular maintenance for you, ensure your website is safely backed up, always up-to-date, secure and fast. We treat you like family. We don’t bill and run, we keep tabs on your website, check in every so often to make sure everything is working correctly. We provide on-going tips and inform you of changes that may affect your business. We keep you abreast of new trends and technologies that may benefit your business. We are fairly priced, and can work with you to meet any budget. We have worked on websites in Canada, Australia, The United Kingdom and various states across the United States. Whatever your website need, we can bring it to life. We stay up to date with the latest trends in design and marketing, so you can concentrate you’re your business. Similarly we provide first rate support for our clients, 365 days a year to free up your valuable time. SsaMedia understands there are a lot of choices out there for building your website. If you are thinking getting a website developed, you’ve probably spent a considerable amount of time and effort checking out various web design companies. To begin, simply fill out the free estimate form and we’ll get started on your Garfield, NJ custom website in no time. It’s that easy. Garfield New Jersey Website Design, Garfield Web Design, Garfield Website Marketing, Garfield SEO, Garfield Search Engine Optimization, Garfield Website Hosting. Garfield is a city in Bergen County, New Jersey, United States. As of the 2010 United States Census, the city’s population was 30,487. 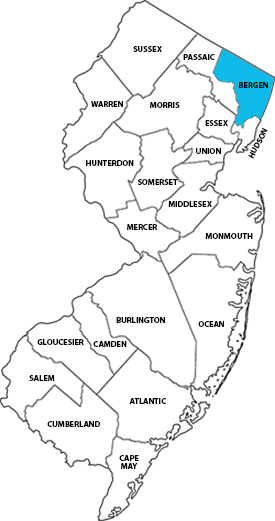 When the area that is now Garfield was first developed in 1873, it was known as East Passaic. In 1881, the community’s name was changed to Garfield in honor of President of the United States James Garfield. There are two explanations given for the circumstances behind the renaming. According to one, shortly after Garfield was elected to the presidency the founder of East Passaic said, tell everyone…don’t speak of East Passaic anymore; call it ‘Garfield’ after the man who will lead this great country to prosperity. Seven months later, President Garfield was assassinated but his name remained with the community. The second theory holds that after Garfield’s death in 1881, a new train station was named in his honor, which in turn led to the surrounding area becoming associated with his name as well. Allendale, Alpine, Bergenfield, Bogota, Carlstadt, Cliffside Park, Closter, Cresskill, Demarest, Dumont, East Rutherford, Edgewater, Elmwood Park, Emerson, Englewood, Englewood Cliffs, Fair Lawn, Fairview, Fort Lee, Franklin Lakes, Garfield, Glen Rock, Hackensack, Harrington Park, Hasbrouck Heights, Haworth, Hillsdale, Ho Ho Kus, Leonia, Little Ferry, Lodi, Lyndhurst, Mahwah, Maywood, Midland Park, Montvale, Moonachie, New Milford, North Arlington, Northvale, Norwood, Oakland, Old Tappan, Oradell, Palisades Park, Paramus, Park Ridge, Ramsey, Ridgefield, Ridgefield Park, Ridgewood, River Edge, River Vale, Rochelle Park, Rockleigh, Rutherford, Saddle Brook, Saddle River, South Hackensack, Teaneck, Tenafly, Teterboro, Washington Township, Upper Saddle River, Waldwick, Wallington, Westwood, Wood Ridge, Woodcliff Lake, Wyckoff. Whether you’re in need of a website, e-commerce solution, competition analysis, search marketing, targeted emails or brand expansion through a better social media presence we can create the right formula to expand your brand and reach your goals. © 2016 All Rights Reserved. Powered by ssaMedia.